WASHINGTON -- Prosecutors working for special counsel Robert Mueller are accusing former Trump campaign chairman Paul Manafort of trying to tamper with witnesses in his ongoing criminal cases. Mueller's team says in a new court filing that Manafort and one of his associates "repeatedly" contacted two witnesses in an effort to influence their testimony. The contacts occurred while Manafort while under house arrest. The two witnesses are not named in court filings. But prosecutors say they worked with Manafort in organizing a group of former European officials who lobbied within the U.S. without registering. Mueller's team is asking a federal judge to hold a hearing to decide whether to revoke Manafort's release. 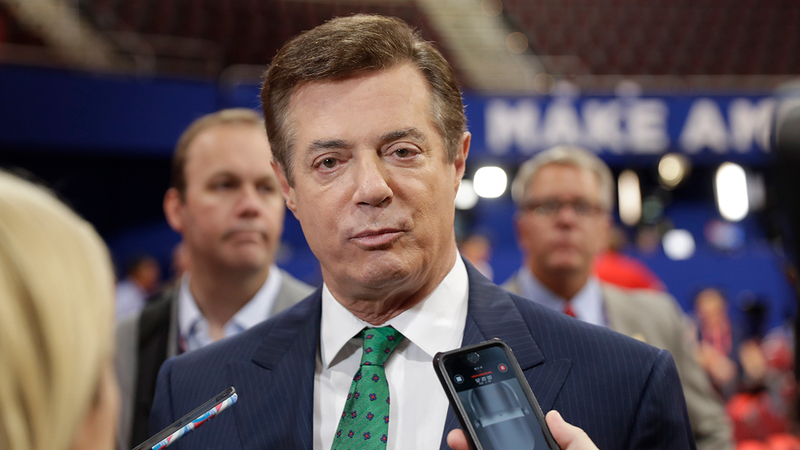 Manafort faces several felony charges in two federal cases. He has pleaded not guilty.